1000 Museum creates a six-star lifestyle within an exceptionally elegant private residential tower with over 30,000 Sq.Ft of beautifully designed venues for swimming, sunning, socializing, fitness and pampering. 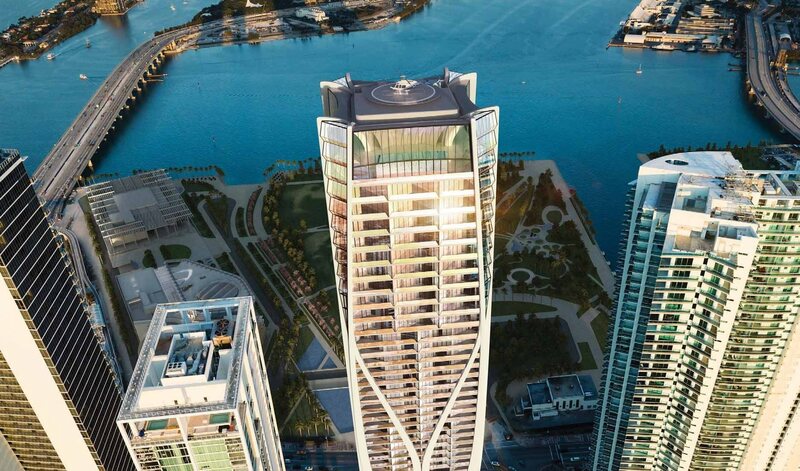 The 62-story tower consists of 83 ultra high-end residences (8 full floor penthouses, 70 half floor residences, 4 duplex townhouses, and 1 double-story/2 full floors penthouse).1000 Museum condo appears as a continuous piece of contemporary sculpture from the podium to the crown. The sensuous curves of its white exo-sketelon create a dynamic contract with the crystalline facade and define the unique shapes of magnificent private terraces. Private residences are accessed from the lobby via secure, high speed elevators that feature destination-entry smart technology. Spacious, minimalist kitchens feature the finest European finishes and fixtures and high-performance European and American appliances. Residents will have a choice of finishes for custom cabinetry by innovative Italian design firm Gatto Cucine and will also be able to select from a range of fine stone countertops. Tranquil bathrooms have been designed with spa- quality features and finished. Custom European cabinetry and countertops are available in an array of fine materials and colors to accommodate owner preferences. Surrounded by finest Art, Culture, Design, Entertainment and Commerce - One Thousand Museum is located directly in front of Museum Park which will be home to the Patricia and Phillip Frost Museum of Science and the Perez Art Museum Miami. In the same area we find the American Airlines Arena, the Port of Miami and the Adrienne Arsht Center for the performing arts. If you are interested in buying or investing at 1000 Museum, We at Mattis Team can help you with property related assistance, working under the Umbrella of Keller Williams Realty Coral Gables – Coconut Grove, we provide you with a personalized customer service approach that will guide you from contract, closing coordination, and post-closing assistance with the sale or purchase of your home. Write to us at – Lysis@MattisTeam.com or give us a call on - 786-266-3972. 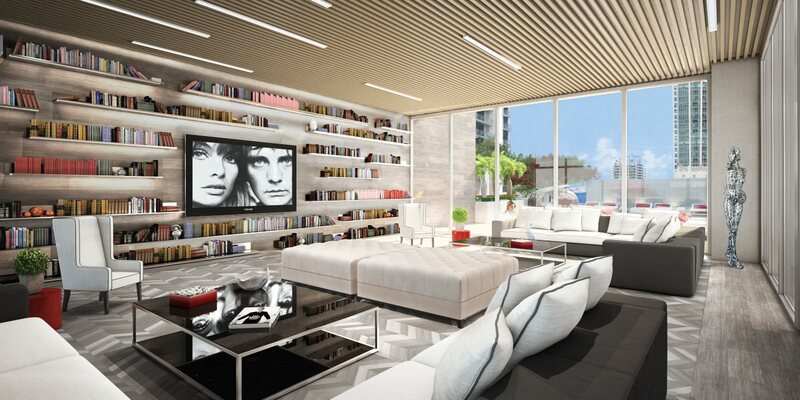 THE BOND - British glamour meets Brickell chic. Centrally located on the famous Brickell Avenue, The Bond is within walking distance to major international banks and minutes from Class A office buildings, including Rilea’s award-winning 1450 Brickell. Just steps away is the bustling Mary Brickell Village - home to a variety of retailers such as Publix, Sports Club L.A., a signature sports and wellness center, chic shopping and world-class restaurants and bars. Even more exciting is the upcoming access to nearly 600,000 square feet of luxury retail and shopping at Brickell CityCentre, which is currently under construction. Brickell offers an exceptional array of neighborhood amenities from weekly organic farmer’s markets and art shows, to music concerts and sporting events. Fortune International presents Jade Signature - The Movie. That brings to life the concepts that make the luxury condo so unique - from true flow through units that highlight sweeping views of the ocean and the city to a unique seamless connection of lobby and amenities to the beach. We at Mattis Team can help you with property related assistance, working under the Umbrella of Keller Williams Realty Coral Gables – Coconut Grove, we provide you with a personalized customer service approach that guides you from identifying the best deal, to contract, closing coordination, and post-closing assistance with the sale or purchase of your home. Write to us at – Lysis@MattisTeam.com or give us a call on - 786-266-3972.